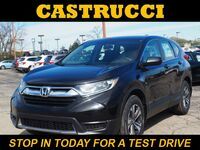 Drivers looking for a new compact SUV that offers a spacious interior, turbocharged engine and comfortable ride will want to keep an eye on the 2017 Honda CR-V. The completely redesigned CR-V now has an updated interior, a sharper exterior styling and a new turbocharged engine option. So how does the 2017 Honda CR-V compare to top competitors in its class? We’re putting the compact SUV to the test with a head-to-head comparison against one of its biggest rivals: the 2017 Toyota RAV4. 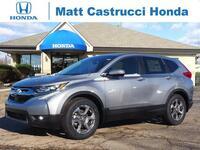 Read on for an in-depth look at the features and specification offered by both vehicles! The 2017 Toyota RAV4 comes in eight trim levels: LE, XLE, XLE Hybrid, SE, SE Hybrid, Limited, Limited Hybrid and Platinum. 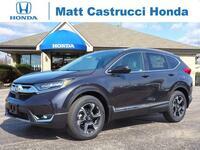 All trims come standard with a 2.5-liter 4-cylinder engine that generates 176 horsepower and 172 pound-feet of torque. No more powerful engine options are available. All trims come standard with safety features such as Enhanced Vehicle Stability Control, Traction Control, the Anti-lock Brake System, Electronic Brake-force Distribution, Brake Assist, Smart Stop Technology, Hill Start Assist Control, and the Tire Pressure Monitor System. The 2017 Honda CR-V comes in four trim levels: LX, EX, EX-L and Touring. Two engine options are available: a 2.4-liter inline 4-cylinder engine that delivers 184 horsepower and turbocharged 1.5-liter inline 4-cylinder that kicks out 190 horsepower. Both engines are more powerful than the sole engine option offered on the 2017 Toyota RAV4. 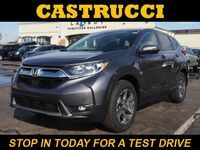 Not only does it offer a larger cargo volume and passenger volume than the 2017 RAV4, but the 2017 CR-V also offers additional standard features not found on the 2017 RAV4, such as power lumbar support, floor mats, and an illuminated vanity mirror. 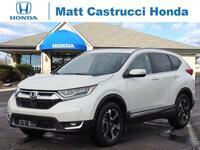 All trim levels of the 2017 Honda CR-V come standard with safety features such as Vehicle Stability Assist™ with Traction Control, the Anti-Lock Braking System, Electronic Brake Distribution, Brake Assist, the Tire Pressure Monitoring System, LED Daytime Running Lights and a multi-angle rearview camera. 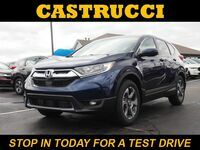 Car shoppers interested in learning more about the features and specifications offered on the 2017 Honda CR-V are encouraged to contact a member of our team at Matt Castrucci Honda. 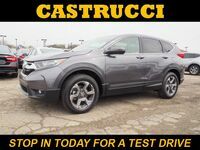 Drivers ready to get in the driver’s seat of the 2017 CR-V, or any of the vehicles in our new inventory, are encouraged to schedule an obligation-free test drive online or stop right in and see us at our location in Dayton!